Our new 2019 product brochure contains a full product list, featuring all your favourites and loads of new products. 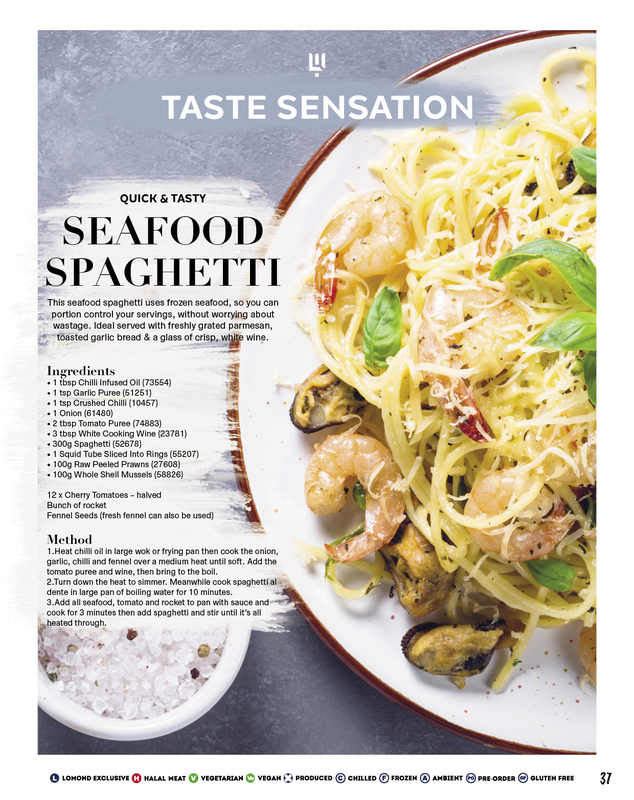 We wanted to give our customers something more than that – so we’ve created a handful of Taste Sensations – delicious recipes and quick serving-suggestions, which help you save time and offer your customers something different from their usual eats. 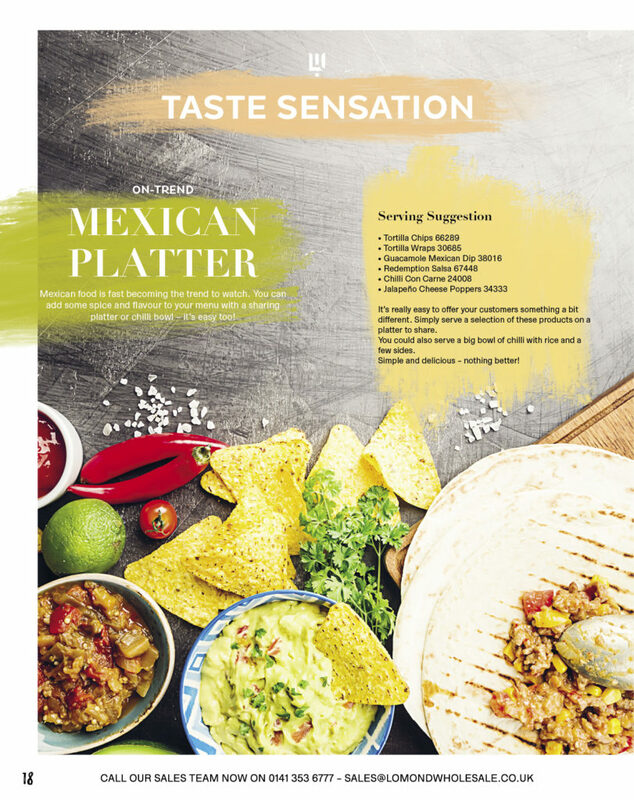 On page 18 you’ll find a delicious Mexican spread, simply serve up a variety of our ready-to-serve Mexican options and you’ll have a fantastic platter which you can serve as a main meal or sharing course, just adjust the quantities as you need. Why not mix it up? We offer a range of ready made foods (p.50-52) including buffet options, quiche and sweet canapés – perfect for your next party buffet! Our next Taste Sensation features succulent roast beef, paired with some sides which will help you stand out from the crowd. We like ours with fries, pesto and some sliced pepper, but you can choose from our wide range of vegetables (p.63 – 65) nothing should be off limits! If you’re looking to cut-down on your meat intake, have a look for our vegan and vegetarian symbols throughout the brochure. We are always on the lookout for new, exciting products, especially those who help you offer on-trend options to your customers. Keep your eyes peeled for some exciting vegan promotions and new products over the coming weeks. As with all our recipes, you can adapt this to work for you. Why not add some flakes of hot smoked salmon? Or serve alongside some grilled seabass? These recipes are fantastic as they are, but all it takes is a little tweak here and there to personalise and make it your own. 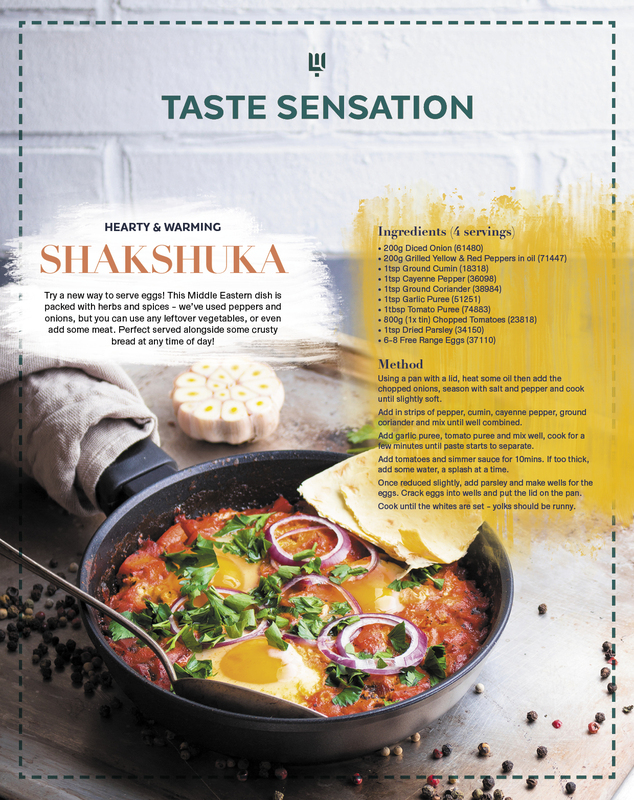 The final Taste Sensation is a middle-eastern Shakshuka – eggs baked a tomato and mixed vegetable sauce. If you can get your hands on some fresh parsley, this will add an extra freshness to the dish, but if you’re using our products, you’re still able to make something really tasty. This is ideal served as a soup alternative for lunch and tastes just as good from the fridge the next morning, if making at home. 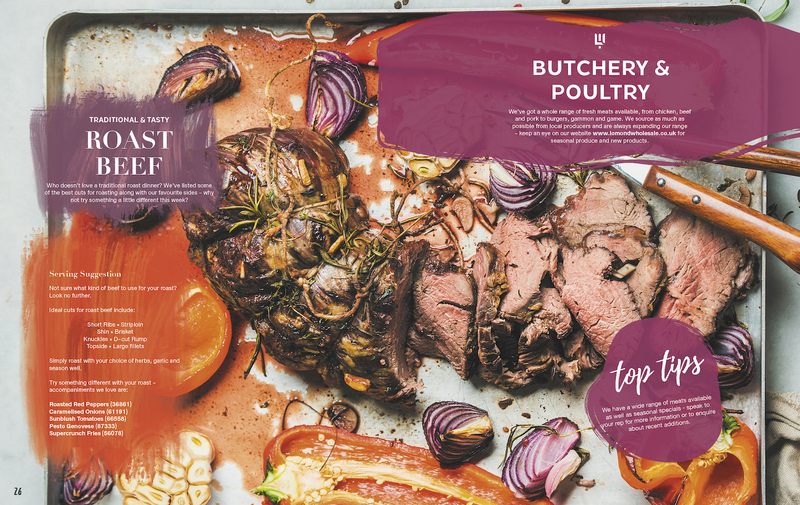 We added these Taste Sensations to the brochure to give you a taste of what you can create, purely using products available from the Lomond 2019 brochure. We hope you enjoy trying them out. For your copy of our 2019 Product Brochure click here, speak with your rep or call our telesales team on 0141 353 6777.